Chinese New Year are coming really soon and the spirit are felt everywhere in Malaysia. It feels so great to live in Malaysia where you can celebrate so many eves and have holidays! Despite all of it the food was the one that everyone craving always. So for CNY it is time for Yee Sang! This year, Sakae Sushi’s Fortune Salmon Yee Sang is once again bound to tempt taste buds everywhere and set the stage for an auspicious toast. A distinctively Japanese-inspired take on the traditional yee sang dish, it is masterfully prepared by Sakae chefs using thick slices of fresh airflown salmon accompanied with a variety of authentic Japanese ingredients such as seasoned jellyfish, scallop, seaweed, radish, sesame, and many more. Sakae’s delectable yee sang is then topped with a unique and appetising citrus-infused sauce. So, do you know the reason why Sakae’s Yee Sang taste great? The answer is their Fresh Salmon and special signature sauce that is tantalising and refreshing. It complements perfectly with the fresh ingredients used to fully bring out the flavour of the dish. 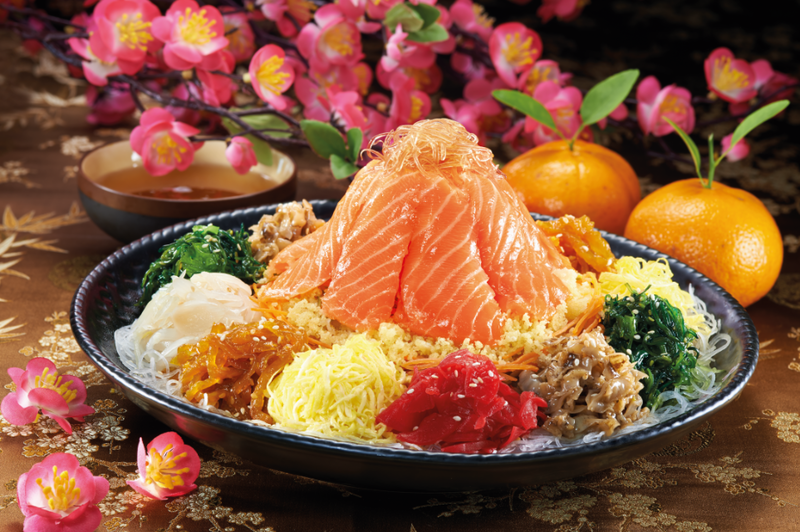 To cater for different occasions, the Fortune Salmon Yee Sang is available in two dining options themed Success (for 1-2 persons), RM29.80 and Money (for 6-8 persons), RM49.80. For added convenience, the Yee Sang comes in an exclusively designed premium packaging box ideal for takeaways, gatherings, corporate giveaways or gifts. 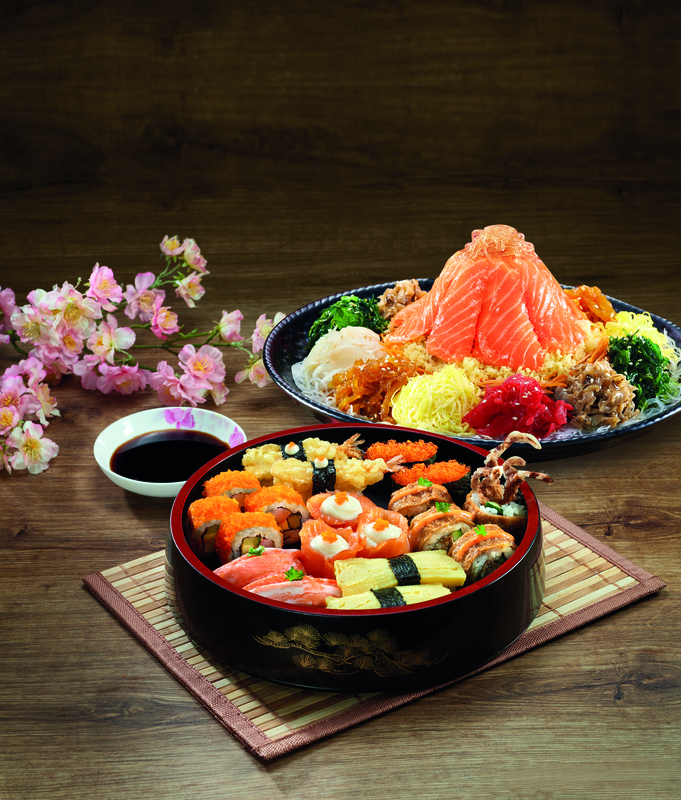 Sushi lovers, be sure to keep an eye on the brand new CNY Treasures Combo Set (RM88.80). With a combination of the Money Yee Sang and Sushi Party Set, the Combo Set features Sakae’s signature sushi favourites prepared with Vitamin E-added sushi rice for health benefits. It makes an ideal choice for toasting with loved ones or gathering with friends, relatives and acquaintances and is available for both dine-in and takeaways. Apart from bonding over great food and great company, diners can also expect auspicious rewards with Sakae’s CNY Treats. This comes in the form of the Lucky Bag Giveaway, where customers just Dine, Collect & Redeem an exclusive Lucky Bag. 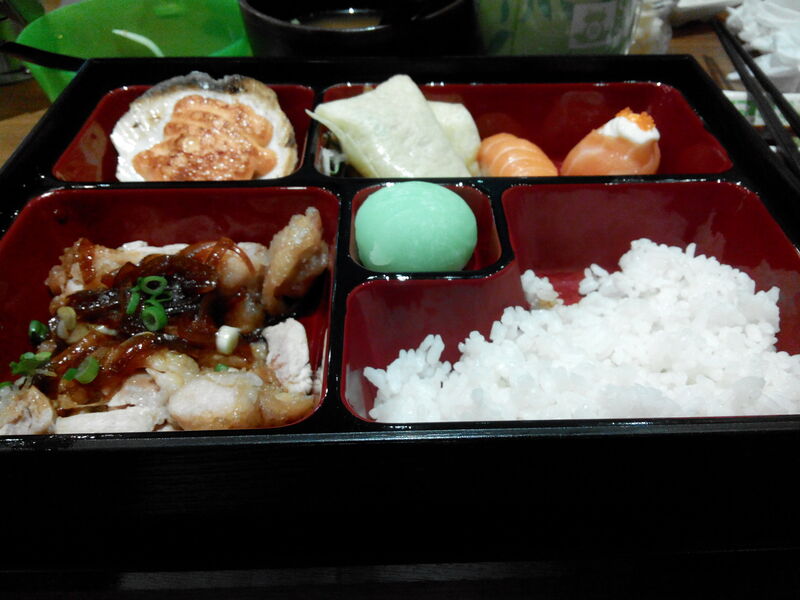 Through this promotion, customers receive a stamp for every RM30 spent at Sakae Sushi. 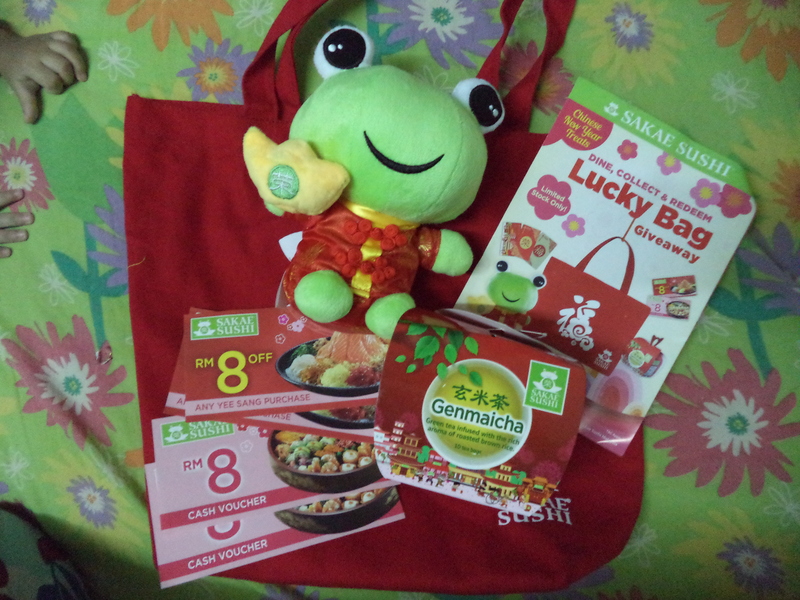 Once they have collected 8 stamps, they can then redeem a FREE Lucky Bag consisting of a limited edition Sakae Fortune Froggie plush toy, a tote bag, genmaicha, cash vouchers and angpows totalling up to RM88. Alternatively, they can collect just 3 stamps and take home the Lucky Bag for only RM38.80. 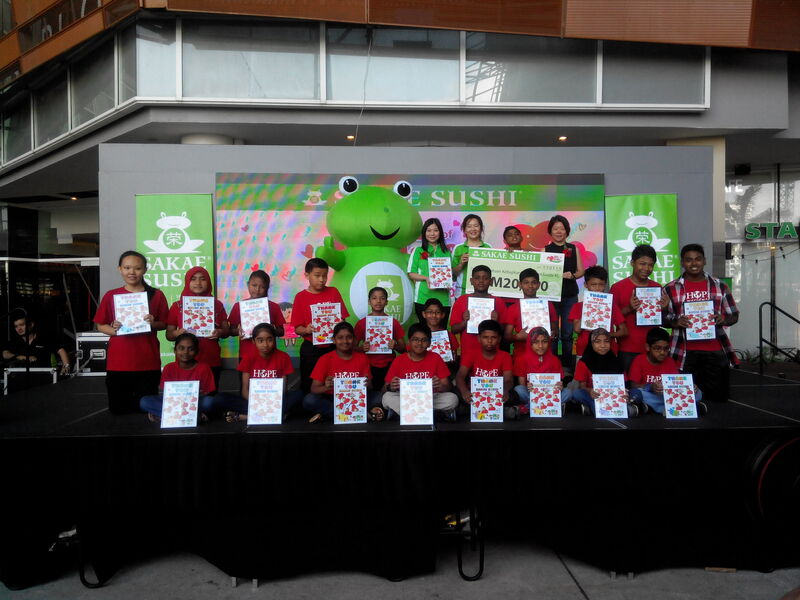 Apart from that, this year also marks a unique and meaningful CNY celebration as Sakae Sushi capped off its ‘Gift of Love’ campaign with a cheque presentation ceremony. The campaign, which was launched in conjunction with Sakae’s 17th anniversary last year, saw diners being invited to fold an origami heart and drop it off at the “Gift of Love” box placed in Sakae outlets nationwide. Each origami heart received would then be channelled as RM1 to be donated to Hope worldwide Malaysia, enabling Sakae Sushi and its customers to play an active role together in supporting charity causes. 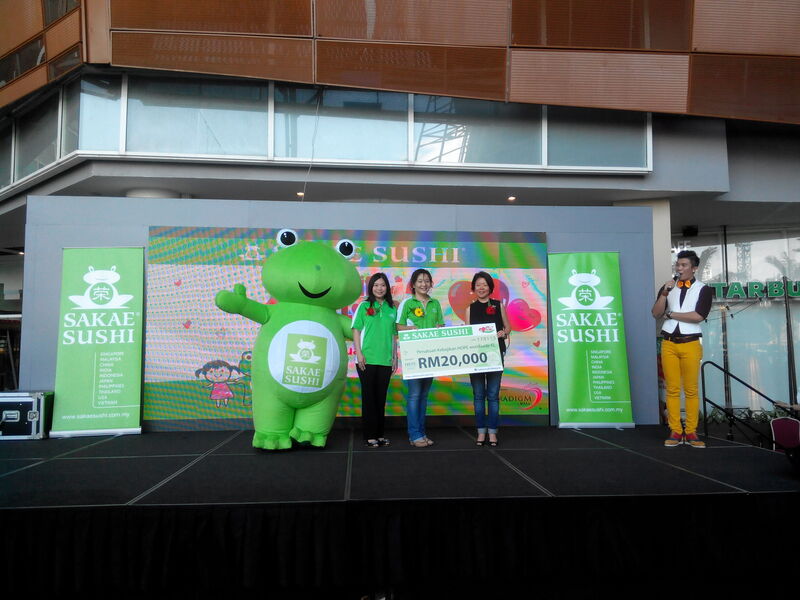 To commemorate the campaign’s success, Sakae Sushi presented Hope worldwide Malaysia with a total of RM20,000 in donations. This amount was then presented in a ceremony held in Paradigm Mall on 17th January 2015. During the ceremony, children from Hope Worldwide Malaysia also we there and entertain all the guest with their happy songs. a great performance that day! 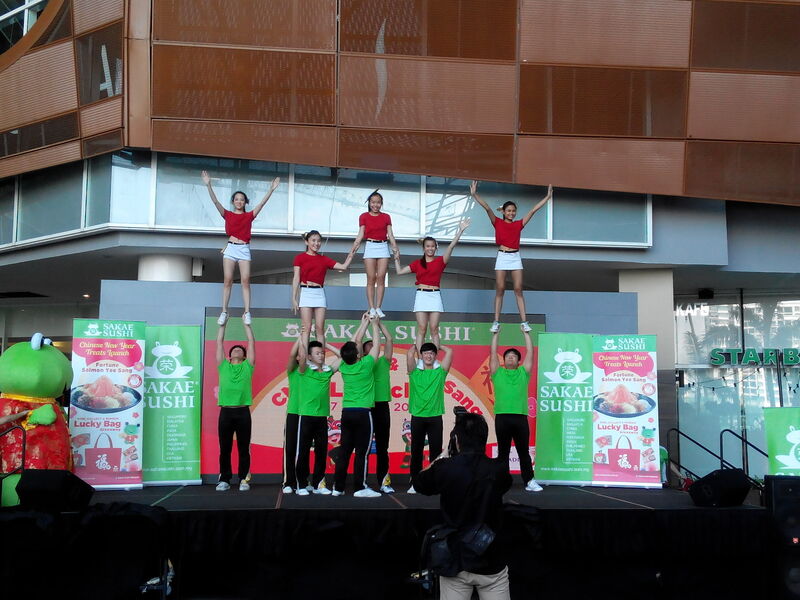 Graced by local celebrities, guests of honour, media and bloggers, the event was a fun-filled affair with the launch of Sakae’s CNY Treats, performances, lucky draw and more. Guests were also treated to a sumptuous lunch of Sakae Sushi’s signature dishes including the Fortune Salmon Yee Sang. Thank you so much for treating us that day! 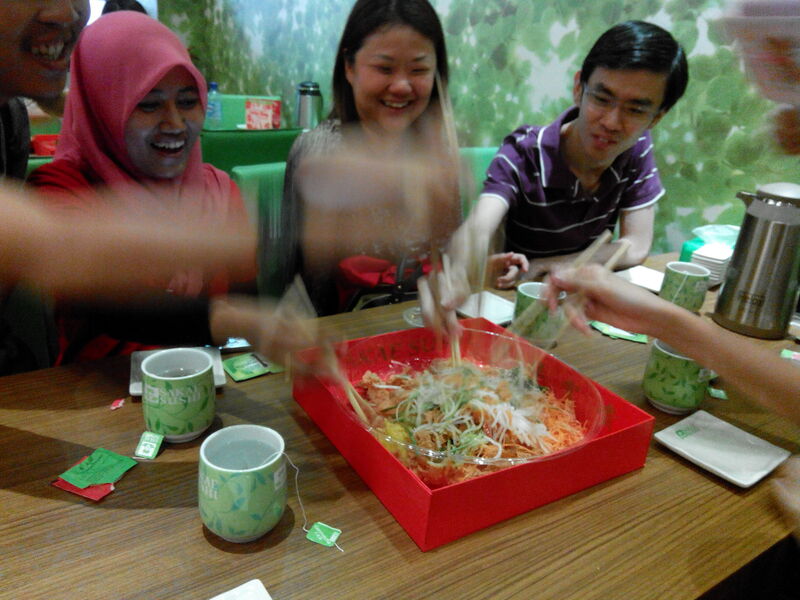 I had so much fun eating and tossing during the Yee Sang with other Blogger friends. Eventhough I did not lucky enough to score a lucky draw but I’m so full that day. Also thank you for Sakae Sushi Paradigm Mall who being so great to look over my son Fateh from any harm during food serving. Undoubtedly, the Year of Goat promises much great joy and blessings ahead. 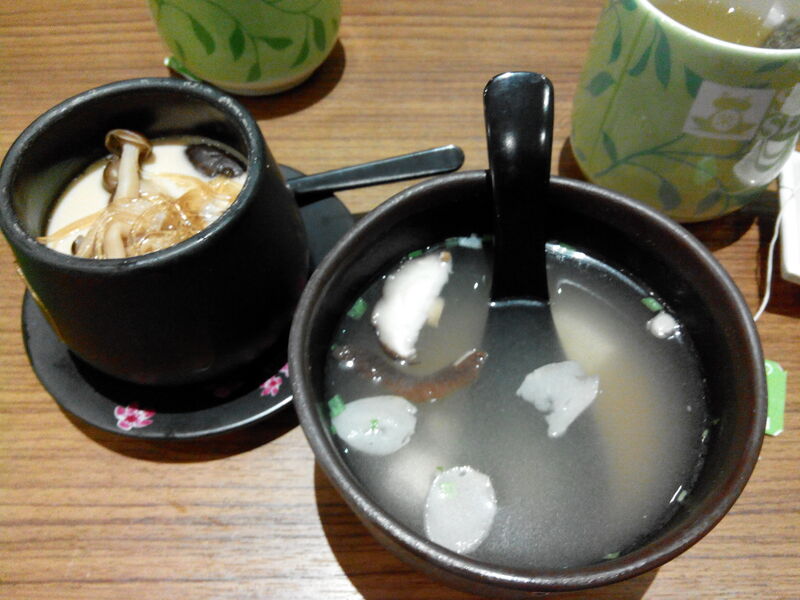 So, make your way over to Sakae Sushi now for a taste of the auspiciousness to come! 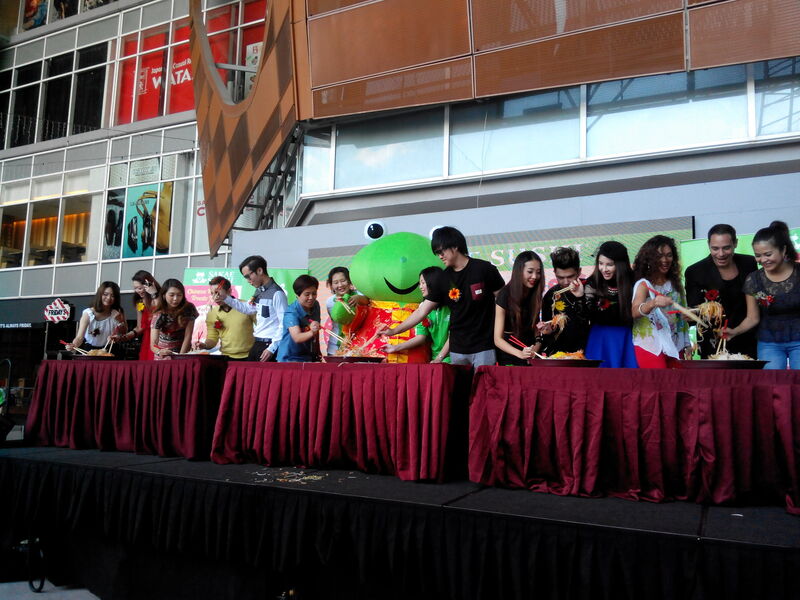 With 29 outlets in Malaysia, its green frog logo has become a familiar, welcome sight. Synonymous with a fun-filled, value for money dining experience, this popular kaiten sushi-concept restaurant offers a delectable variety of quality Japanese specialties including sushi, sashimi, yakimono, agemono, tempura, Japanese noodles (ramen, soba and udon), gohan, and teishoku. To safeguard the highest standards of freshness and quality, Sakae Sushi sources ingredients from top suppliers around the world and maintains stringent food safety and hygiene standards. All Sakae Sushi outlets are furnished with a contemporary, stylish and comfortable ambience ideal for a pleasant meal with family members, friends or loved ones. Diners can also enjoy unparalleled convenience, thanks to innovative user-friendly features such as interactive menu screens at every table and individual hot water taps. Sakae’s patented interactive menu system, touted as the fastest ood ordering system, allows customers to browse through menu pages using the iPad and send orders of their favourite dishes directly to the kitchen while keeping a tab on their bill. The result is uick service that’s just a touch away. For freshly steeped tea anytime, customers can just use the unique piped in hot water taps that is built into each table – a handy and convenient feature pioneered by Sakae Sushi.